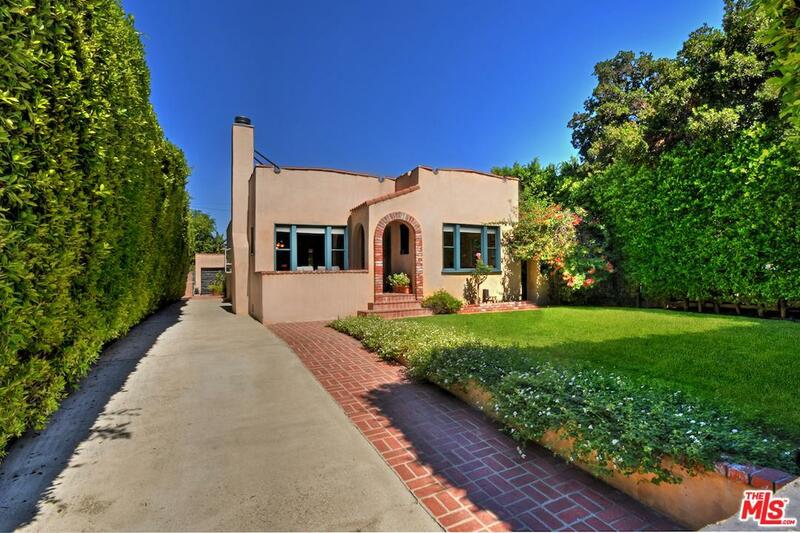 Character rich 1920's Spanish architecture sited on a walled and gated 8200 square foot flat lot in West Toluca Lake. Natural light filled open concept floor plan with hardwood floors, French doors and an indoor / outdoor living environment. Remodeled kitchen with stainless steel appliances opens to the dining and living room with a mantled fireplace. Great master bedroom suite includes 2 closets and a luxurious spa like bath with double sinks, soaking tub and walk-in glass shower. Wall of French doors opens to the garden and patio with fountains and Spanish paver tiles. 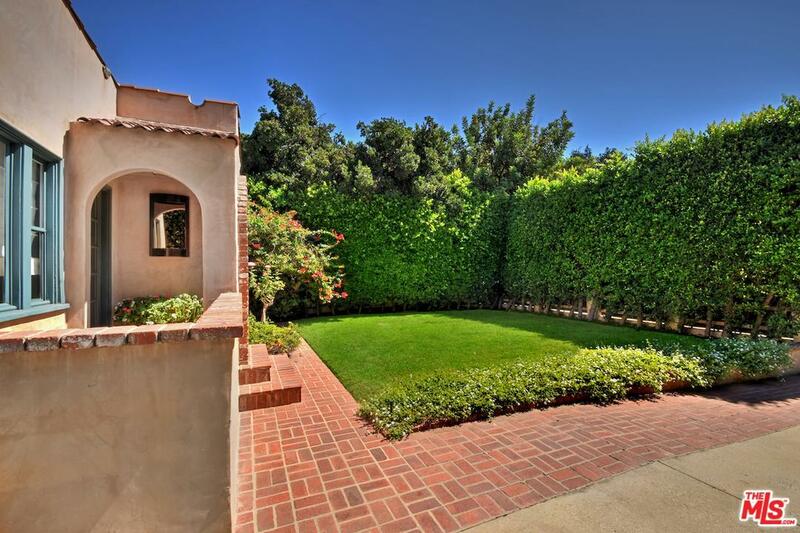 Private yard with mature landscaping and hedges. Extra large detached garage offers potential for an accessory dwelling unit. 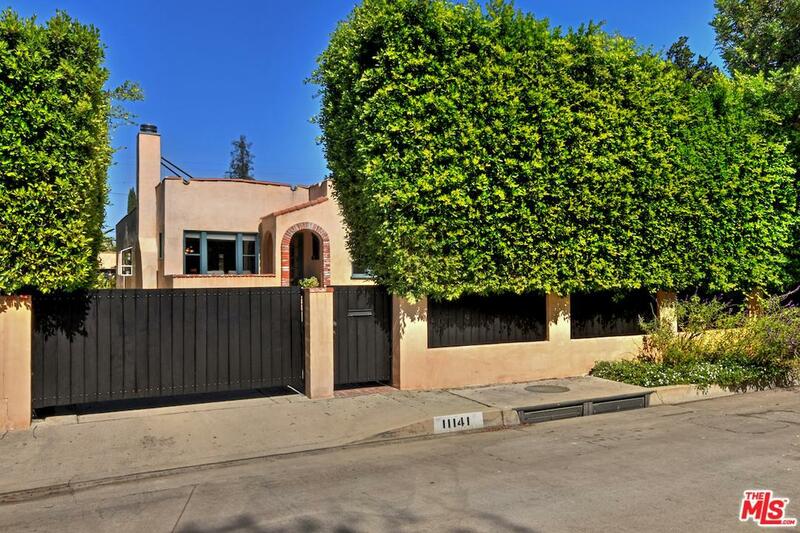 Centrally located and close to the Studios and Hollywood. 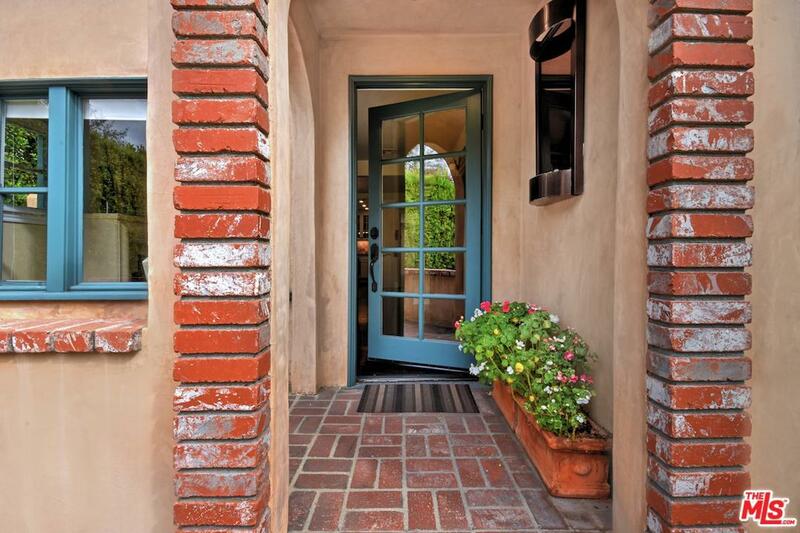 Sold by Kim Pape BRE#01020477 of Re/Max Of Valencia. Listing provided courtesy of Barry Dantagnan DRE#01020477 of Coldwell Banker Residential Br.